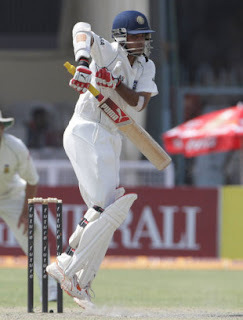 WIN--------->MOON: sourav's best test knock..in kanpur!! Sourav chandidas Ganguly has accepted that this knock of 87 is one of his best knocks in test cricket.It was so spl for him bcoz it came on a difficult track and also in a difficult situation.Sourav Ganguly's 87 today on a Kanpur minefield can safely join the company. And the man himself rates this as one of his best efforts. "Considering the surface and context, this is definitely one of my top Test knocks," was his summary after a gripping day's play. When he was walking out in the afternoon he must have crossed Rahul Dravid almost writhing in pain, throwing away his arm guard after being hit by Morne Morkel on the right wrist, but the way he batted it didn't seem the pitch bothered him at all. And Ganguly would be lying if he said it didn't. "The odd ball would bounce and go through the top, and that is not in my control. These are the pitches where how you think matters. You may get out to a normal delivery as well. You cannot worry about the ball, if it goes through the top it does. He also said he was "very" disappointed he did not get the century he so thoroughly deserved. But the way he got out was exactly what the situation required. Three wickets had fallen rather quickly to bring the tail in; the first, that of a reckless Dhoni, triggering the collapse when India were 17 runs away from South Africa's 265 and 3.5 overs away from facing the new ball.